Don’t Miss Out on Graitec’s Inventor User Group Day – Only 1 Week Away! Have you registered your place? 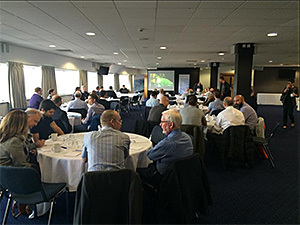 Our Inventor User Group day is a must for any manufacturers who wish to use the latest groundbreaking Autodesk products. Graitec’s Inventor User Group is an enjoyable and informative day where you can learn all about the latest features, tips and tricks within key Autodesk manufacturing software such as Inventor 2017 and Nastran In-CAD. Attend our event and learn an array of useful skills, which can all be implemented into future projects allowing you to further improve workflows and save time. Moreover, all sessions will be conducted by Autodesk and Graitec technical consultants who are experts within their field, so bring any software or technical questions you have and ask away! The busy agenda includes What’s New Inventor 2017, Nastran In-CAD, business automation and all the hottest tips and tricks. Find out all of the details at our event page. Register today before it’s too late and make sure you hit your competitors for six with your software expertise! Attend GRAITEC’s BIM 360 Tour event in London on the 12th May 2016 and learn all about the future of construction collaboration! Architects, structural & MEP engineers, main contractors, building owners & operators and the sub contract supply chain. Manchester – 14th June 2016 and Newcastle – 15th June 2016. Technologies and trends are significantly impacting and disrupting the construction industry today and will continue to do so in the future. Effective collaboration is becoming crucial as construction cycles are becoming shorter and project stakeholders at all levels demand deeper insight into projects and greater visibility early in the process, driving the need for instant global access to up to date centralised dynamic data. Join us in London for a BIM 360 Tour event as we help you understand the Future of Project Collaboration, how it can help you and the opportunity you have to help shape the future of construction collaboration. Furthermore, the person or company who registers the most people who attend the event will be invited to a once in a lifetime trip to San Francisco* to meet Autodesk at Pier 9 and visit the Autodesk gallery. Click the button below to find out more about the BIM 360 Tour, the prize to San Francisco and to register. Make a saving today on the latest Autodesk 2016 products! From 31st January next year (2016), new perpetual licenses of most individual Autodesk products will no longer be available for purchase. From this time, new seats of individual software products will only be available via pay-as-you-go Desktop Subscription options. You will, however, still be able to continue to use your existing perpetual licenses. For software on Maintenance Subscription, you will continue to receive ongoing updates and retain access to your benefits by keeping your Maintenance Subscription current. Buy perpetual licenses while they are still available* – Add Maintenance Subscription to your perpetual license to maximise the long-term value of your software. You can even lock in your price by choosing a multi-year contract. Until 24th July, you can save up to 20% off a new perpetual license when purchased with a 3 year Maintenance Subscription. Access Autodesk software with new Desktop Subscription options** – Get the same software that you would with a perpetual license, but with lower upfront costs and flexible budgeting that’s easier to manage. Now available on multi-year terms. Until 24th July, you can save up to 25% off new Desktop Subscriptions (annual or multi-year) if you have a 2005-2015 perpetual license. To find out more contact your local Graitec office today, or click the button below to request a quote. 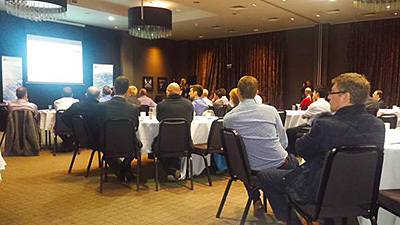 This week, global Autodesk Reseller and Platinum Partner GRAITEC, successfully began its European BIM Tour in Newcastle, UK and is continuing the tour in Leeds on Wednesday 15th April, with further dates booked in major cities across the UK over the next few months. The GRAITEC BIM Tour will also be visiting key locations across Europe: France, Germany, Poland, Czech Republic, Slovakia, Italy and Romania, bringing expert BIM intelligence and knowledge to industry professionals across Europe. Supported by Autodesk and local industry specialists, GRAITEC aims to share years of experience in helping customers develop and implement integrated BIM technology strategies and processes, across all types of industries and environments. Thinking about getting the latest software? Now is the time. As of the end of January 2015 you will no longer have the ability to upgrade your software to the latest version unless you are on Subscription. After this date customers who are not on Subscription for such licences will have to purchase a new licence to get current. So what are the benefits of Subscription? Autodesk Subscription offers various ways to access the latest software as well as additional technology products and cloud services. This means that you can choose what works best for your budget, your people, and your projects. Maintenance Subscription gives you an easy way to manage long-term investment of Autodesk products and helps you to keep upgrade costs lower. Desktop Subscription gives you a flexible choice to meet a variety of business and budget considerations, without an upfront investment. To find out more on the upgrade discontinuation, just contact your local office today or request a quote! We are happy to announce our next series of highly popular BIM Events. These BIM events are aimed at design specialists and the wider construction industry and will be running during January 2015. We’ll be visiting a city near you! Places are FREE, but limited so make sure you act fast and get yours. You’ll be able to learn from our highly advanced BIM Team and find out how you can make BIM work for you. 12.30 What does a successful BIM Deployment look like? 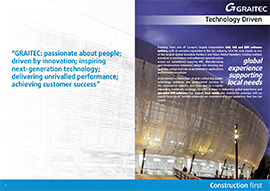 13.30 How will Autodesk evolve with construction? Each event will run from 9.30am – 2:30pm with refreshments & lunch provided. and confirm which event you want to book onto. Make the most of your Autodesk software and discover the revolutionary approaches targeted towards your business with our free informative webinars. This Webinar demonstration will introduce the differences between traditional drawing and intelligent production of drawings. We will cover the fundamentals of creating Architecturally biased drawings, showing efficiency gains and the ability to extract additional information with minimal work. Join us for this webinar to discover the pivotal manufacturing software, Autodesk Inventor and how it has aided an array of manufacturing companies to carry out or move into a digital prototyping workflow. Autodesk Vault Professional and Autodesk Vault Workgroup are product data management software tools that can help you track all your design data, enhance your work process and securely share your data with the extended organisation. Learn the advanced functionality and features of this software and learn to improve your design and manufacturing process. With Autodesk Vault Basic you can easily organise, manage and track data creation, manufacturing processes as well as engineering and construction teams. If you are only just entering the world of Product Data Management then you will realise the potential of the software on your data whilst enjoying this webinar from the comfort of home/work place. Click here to register and you wont miss out on these free learning tools that will enable you to gain further knowledge for you to implement into your business/industry.